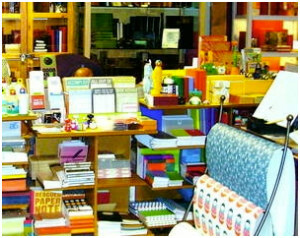 Paper-Ya has been chosen “the best stationery shop in the city” by Vancouver Magazine. 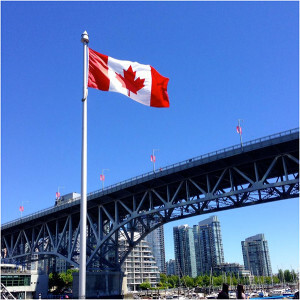 They have been at home here in this inspiring, creative community known as Granville Island for over 23 wonderful years. “Ya” means “shop” in Japanese. Truly successful places are those that appeal to our minds, hearts and souls and offer us a way to connect with each other. Granville Island in Vancouver, British Columbia is one of those special places, created out of a unique sense of community need, creative vision and cultural history. Once an island of two sand bars in Vancouver’s False Creek, the city built seawalls around the sand bars in 1916 and created over 40 acres of land to be used for industry. The industries thrived while Vancouver grew around the island. Many of those industries eventually moved off island and into the city leaving Granville Island an eyesore of empty post and beam buildings and factories covered in corrugated tin. The Canadian government transferred the management and redevelopment of the Island to the Canada Mortgage and Housing Corporation in 1973. A basic concept was agreed upon: that Granville Island would become a “people place” while still remaining reflective of its industrial maritime heritage. Spaces were allocated for a variety of uses, limiting retail to arts and crafts, maritime products and a public market. Planners introduced green space while tin-clad buildings and their huge doors were painted in bright colors. All business and activities were to be harmonious: public business, not for profit and private businesses all came together. There were art schools, theatres, Breweries, restaurants shops and even a hotel. The diversity of tenants has contributed to the unique experience that we see today on Granville Island. One fortunate business that was invited to make a proposal on a space in the Net Loft building on Granville Island was Paper-Ya, although it had not even been created! In the early 1980’s co-owner Denise Carson Wilde was running a letterpress printing studio in another town. She was familiar with the Island “because I used to come here to go to a little industrial restaurant. I remember the gill nets, the fishermen, the smell of diesel and the old dry goods store,” she reminisces. “The space at the Net Loft was wonderful, but quite big and was still raw. I wanted to share the space and made a connection with Sharyn Yuen, who was in Japan doing a papermaking apprenticeship. We share a similar vision. 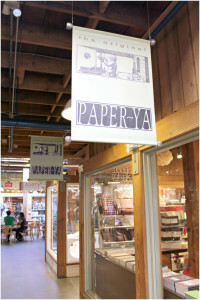 I was printing and collecting Japanese paper, which gave me the idea of opening a store focused on paper. 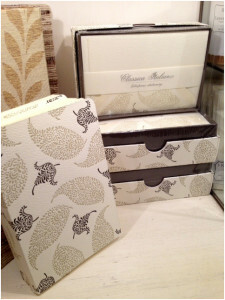 Sharyn and I made connections in Japan, Toronto and New York and developed a great mix of paper products from pillows to wallets and shopping bags. It was amazing how long these products lasted.” Looking back, it seems Denise and Sharon were quite the visionaries as those types of products have just recently become mainstream. “My favorite product is the Rossi letterpress papers… knock out gorgeous papers that Rossi has been producing for some time now. Working with handset letterpress and the fine impression into the softer Rossi papers is completely familiar to me. I am very tactile, as I believe most of our customers are. So that tactile quality of the papers is appreciated. 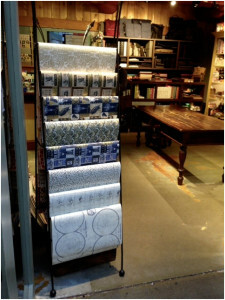 It is not just in the sheets of gift wrap, but in so many of Rossi products, journals, notebooks etc. “We will always love paper but I think it just stems from a love of beauty. After all, it is only beautiful paper that I love, not just paper”. “Nik from Halifax writes: Going into this store is like stepping into the stationary Bermuda Triangle: You will enter, but it will take you years to leave. Hours seem like minutes as you walk through the tiny store for the 8th time, finding a new and exciting notebook or other piece of stationary. It’s tiny, it’s fun, and every time you go to Granville you have to go back.